Natalie Bullock Brown (l), Carletta Hurt (c) and Ella Turenne (r) have crowdfunding projects that shed light on issues affecting black women. Currently, there are three projects spearheaded by three dynamic Black women who are using crowdfunding to in their efforts to shed light on social issues within the black and female community. Carletta Hurt, an award-winning producer and youth advocate, is part of a team that created a Kickstarter campaign for their feature length documentary called Don’t Talk About The Baby. This project dives deep into the taboo world of miscarriages, stillbirths, and infertility among women and the silent shame and guilt that is attached to it. “We can’t change much about pregnancy loss but we can change how we talk about it,” says Hurt. The film will share stories of women who have experienced these tragedies and aspires to open up much needed conversations about these topics. Funding opportunities are still available via their Kickstarter page. Another Kickstarter project is Baartman, Beyonce, and Me, a a film that explores the beauty ideals of a male-dominated culture in which beauty ideals often reject black beauty aesthetics and how that affects the self-image and self-esteem of black women. Growing up as a child, award-winning producer Natalie Bullock Brown had a difficult time accepting her physical appearance because the societal definition of beauty did not match what she saw in the mirror. “I had to do a lot of work to undo what has been imposed on me through well meaning, well intentioned family members, black men and boys as I was growing up, and media images around me and the fact that I didn’t look like the images I saw,” says Bullock Brown. In her efforts to “deconstruct” the societal view of beauty, Bullock Brown created Baartman, Beyonce, and Me, which she hopes will help other girls and women of color in their journey towards self-acceptance. Love, Locs & Liberation Campaign from ella turenne on Vimeo. Like Bullock Brown, playwright and actress Ella Turenne is exploring themes of identity in her Indiegogo project. The quote “I am not my hair” speaks volumes about her solo play, Love, Locs and Liberation, which celebrates black hair and beauty. Black hair is a movement in and of itself along with the exploration of black beauty and what black women face while in pursuit of satisfaction. “This roller coaster ride will have you laughing and crying but most importantly, having a conversation about our identity as women and how we own it,” says Turenne. Turenne’s campaign ends today. 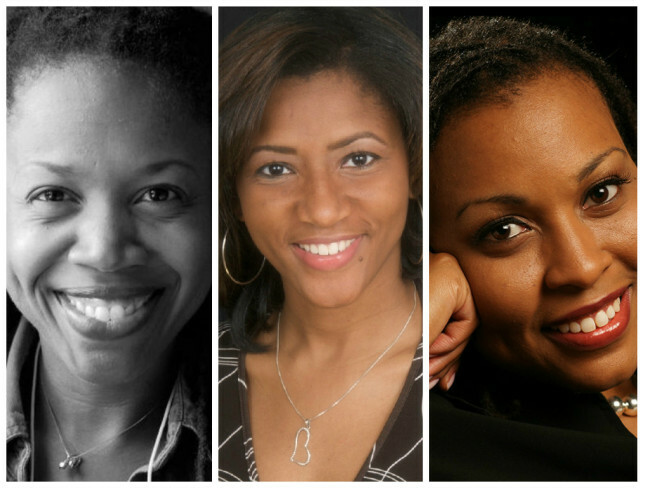 These three Black women are using their talents and crowdfunding to enlighten and encourage our communities. Are you working on a project? Tweet us @TheBurtonWire and let us know. This post was written by Jazzmen Newsom, summer intern for The Burton Wire. She is a rising senior in the department of Mass Media Arts at Clark Atlanta University in Atlanta, Ga. The Memphis native is a television and film major. Follow her on Twitter @Rainegreatness.